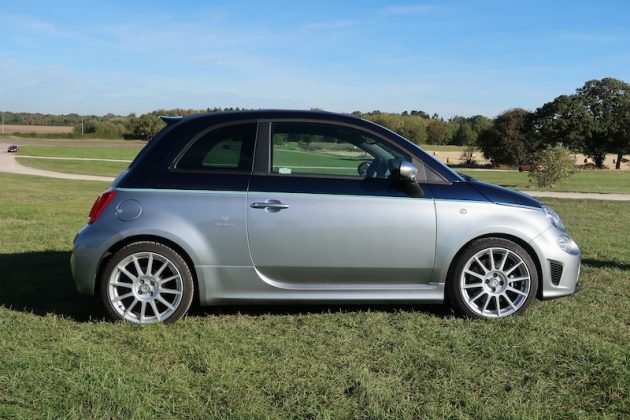 Have you ever yearned for an Abarth 695, but with a nautical theme? I thought as much, but Abarth in their usual madcap fashion has decided to build such a car anyway. Remember the Fiat 500 Riva? 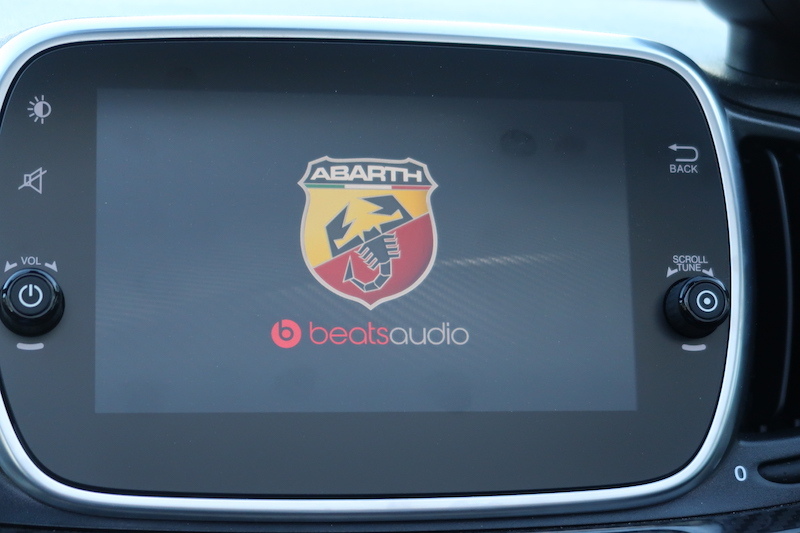 Well, imagine that with Abarth’s sprinkling of performance and it gives you a good indication of what to expect. 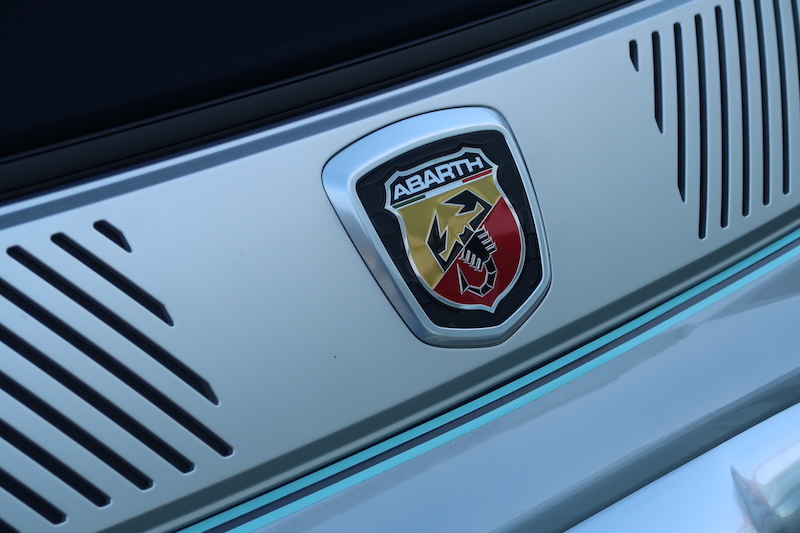 To make this car, Abarth and Riva have joined forces to make a hot hatch – as well as the cabriolet seen here – that has styling cues to remind you of a luxury yacht. No, really. 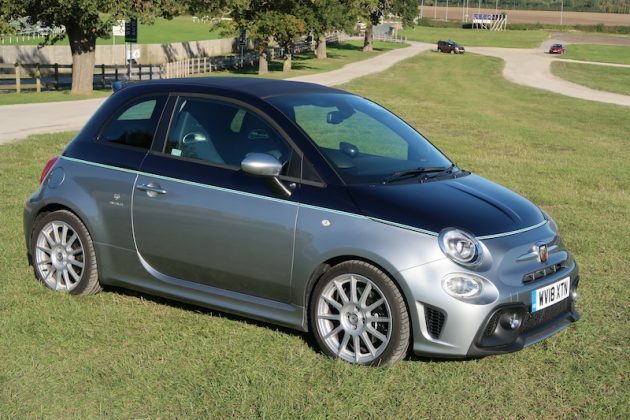 The concept may seem awfully eccentric, but it’s a handsome looking car that exudes the typical stubby, muscular Abarth body, but with a touch of elegance about it. The Rivale is finished in a timeless shade of Portogallo 1974 Grey pain, with a Riva Sera Blue top. Between the two shades, you’ll find an aquamarine stripe emulating a ‘water line’ as seen on a Riva Aquarama, obviously. 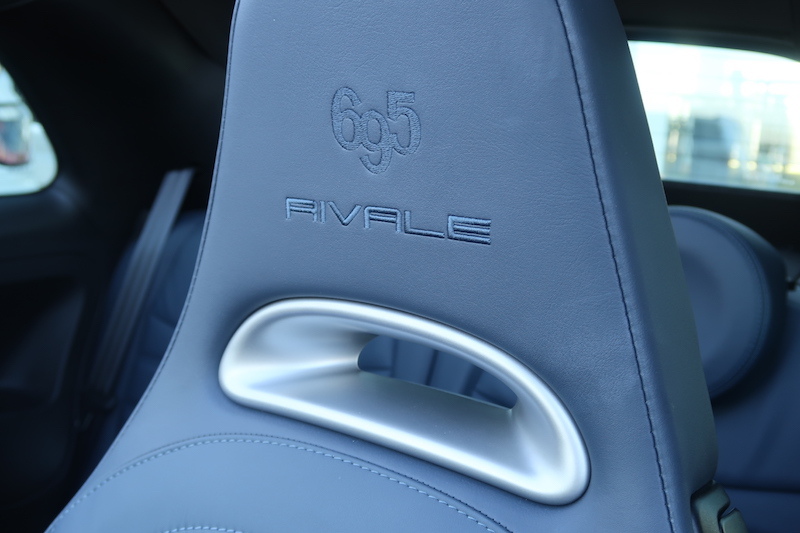 On the inside you’ll find fetching blue leather seats along with plenty of carbon details and a Riva logo on the dash. If really want to make you Rivale ship-shape (sorry, couldn’t resist), you can opt for a full wooden dashboard. As much as the Rivale is quite a nice thing to behold, my time with it was limited, so it was was time to drop anchor and hit the sea – I mean road. 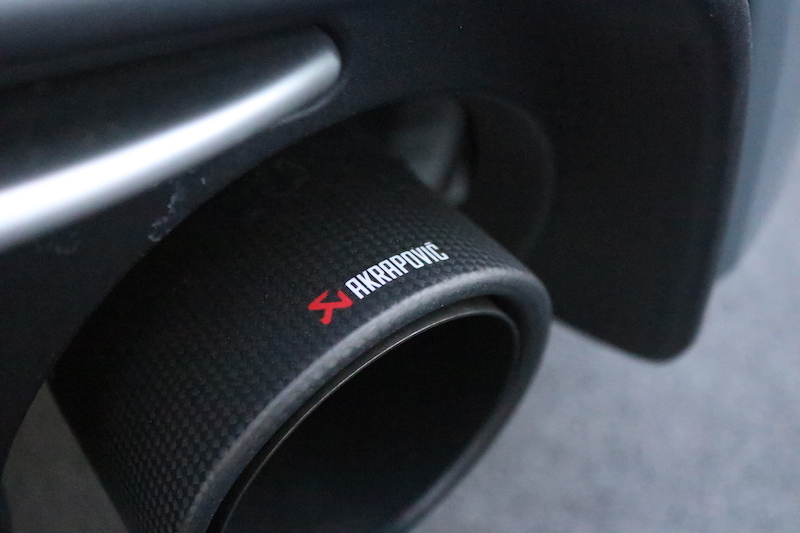 The Rivale comes standard with a fruity Akrapovic exhaust system, meaning you’re met with quite a muscular fanfare when you turn the plucky 1.4 litre turbo engine over. It may be a small unit, but it could easily trick you in to thinking it’s packing a larger engine under that short, classically designed bonnet. 180hp is offered up by this unit, along with 250Nm of torque, which is fed to the front wheels via a satisfyingly snappy 5-speed manual gearbox. 62mph is dealt with in 6.9 seconds, and you’ll continue to a top speed of 140mph. 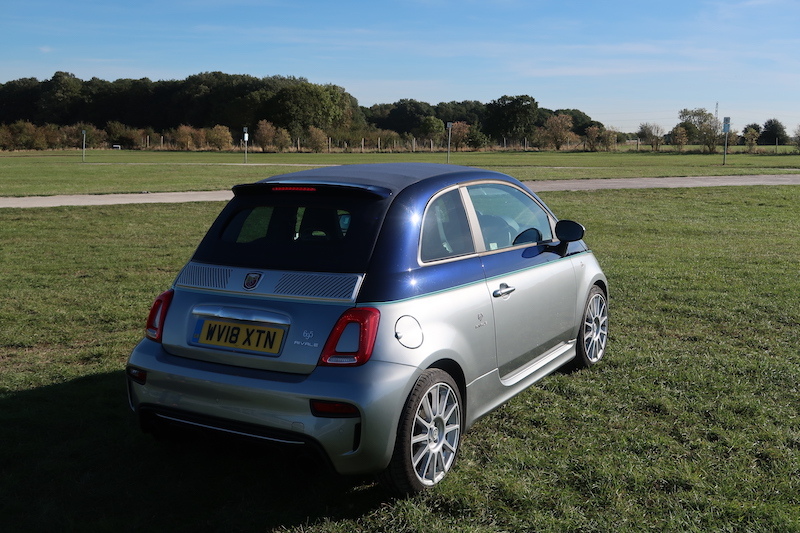 There is a smidge of turbo lag to contend with, but the 695C Rivale soon picks up pace, and is able to offer an addictive soundtrack in the process. It’s not a heavy car, therefore the power delivery feels pretty instant and fizzy, making the car very entertaining to drive. Ok, there is a touch of lag, but it does very little to ruin the experience. 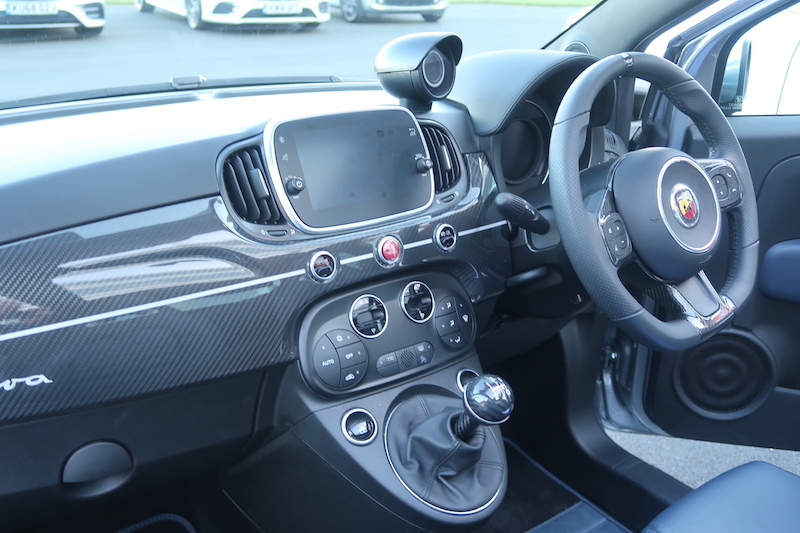 The Sport button adds to the enjoyment by making the car more responsive, making the steering heavier, increasing the noise and also changing the gauges on the instrument cluster. Due to a short wheelbase, the car handles fantastically in the corners, although there didn’t seem to be a large amount of adjustability in the corners. However, I had a similar complaint for the 595 I drove last year, so I suppose that should come as no surprise. The brakes are supplied by Brembo, meaning this little pocket rocket stops as quickly as it goes. The brake pedal does need a decent amount of prodding to get the case to slow down, but it never feels alarming or unsafe. Down at your feet you have aluminium pedals that look like they’ve been stolen out of a classic rally car, which look great. They also have a lovely weight to them, and are a joy to use – especially the one on the right! The steering offers a nice weight, but the feedback isn’t exactly outstanding, although the same could be said for a fair few of its rivals. On the plus side, the steering is direct, and thanks to the small, light character of the 695, it can change direction at the drop of a hat. 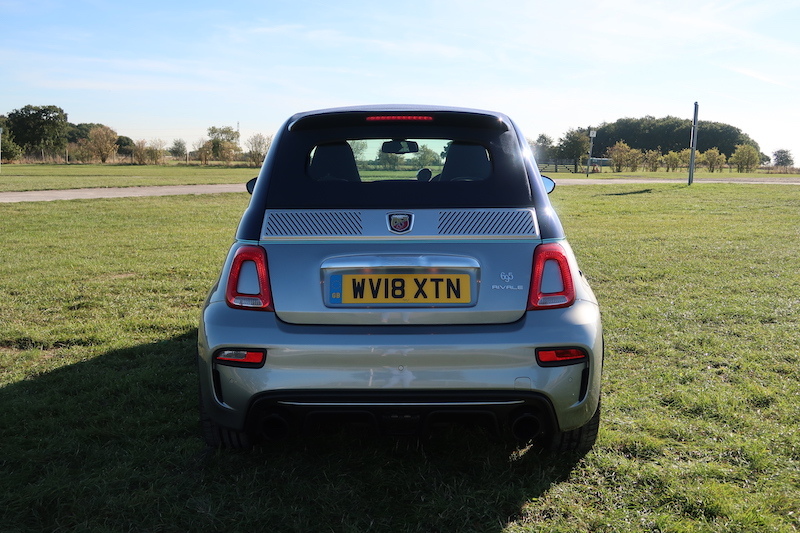 The Abarth 595/695 series of cars are full of character, but they are far from perfect. For starters, I felt like I was sat too high for my liking and although the seats do a decent job of taking the sting out of road imperfections, you cannot escape the ride is very firm. Like other Abarths, this model has got the Koni FSD shocks, which are designed to give the best amount of handling without compromising comfort too much. Granted, the ride is not as bone-shaking as the mental Biposto, but at the same time, the ride could well put some buyers off. As you would imagine, it’s not the most practical either. Sure, it has two rear seats, but you would need to pretty short to make use of them, plus the boot is equally as tight on space, just offering 185 litres of space. The one blessing is that the the soft-top does not go in to the boot when slid back, meaning you won’t have to compromise what little space you have when you want to enjoy nice weather. Speaking of the roof, when you have it slid all the way back, it does hinder rear visibility, which is a bit annoying, but at least this car will be a doddle to park thanks to its small dimensions. However, if you still think you’re going to struggle, you’ll be pleased to know it comes with rear parking sensors as standard. How much is it, what kit is included? For a small car, the Abarth 695C Rivale demands quite a big price tag. 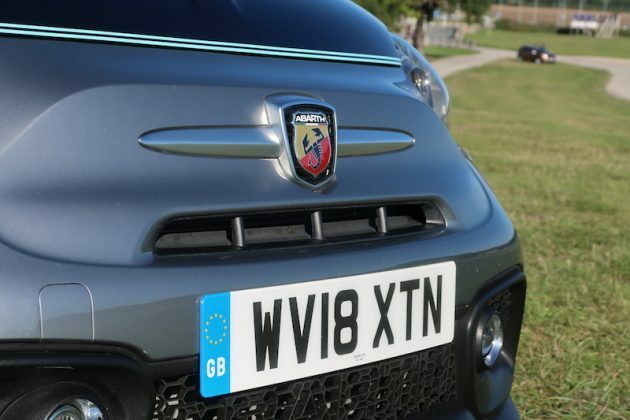 That’s because, it will cost you a cool £25,040, although the model tested here is £25,390 because it’s been fitted with the Beats audio system. That aside, you cannot say that this is a lot of money for a car like this. On the plus side, this car is very exclusive, as just 350 were made – 175 convertibles and 175 hatches. It may not have a ship-load of kit, but it should offer enough to keep you happy. As standard, the Rivale comes with bespoke styling, 17″ alloys, Akrapovic exhaust system, 7″ touchscreen with DAB radio, navigation, Bluetooth and smartphone connectivity, as well as climate control, auto dimming rear review mirror, tinted rear windows and rear parking sensors. 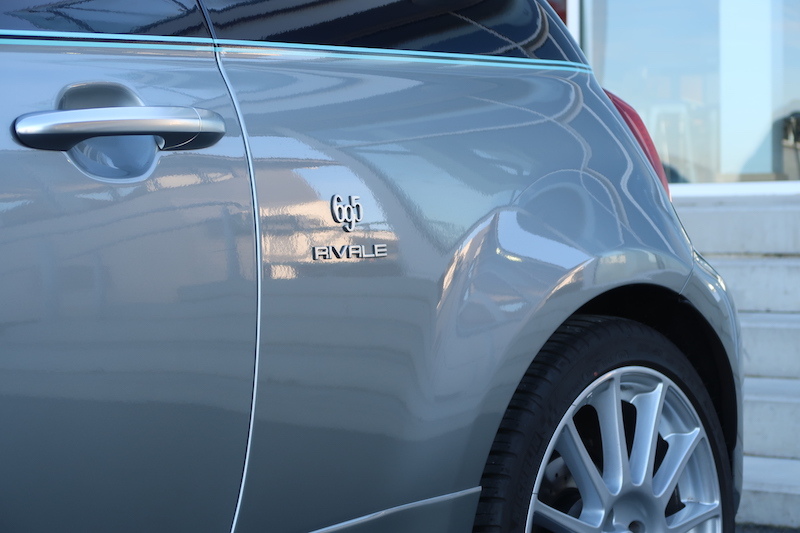 It may not be cheap to buy, but it shouldn’t cost too much to run as it offers 47.1mpg on a combined of fuel economy, and it emits 139g/km, meaning for the first year of VED you’ll pay £205. 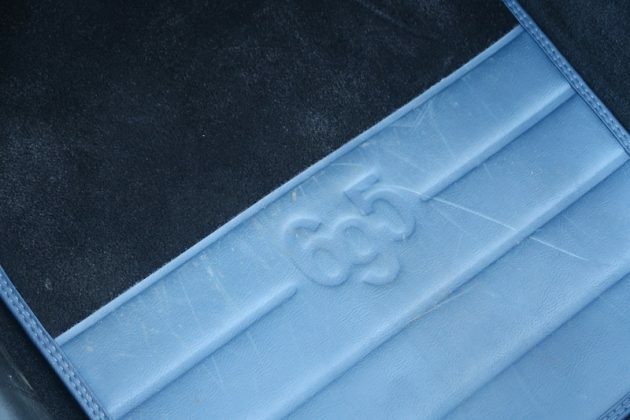 Insurance may be a barrier for some, as it sits in insurance group 35.